120" diameter in inches and 10ths on one side of tape. 35' linear in feet, 10ths, 100ths on the other side. Automatic rewind. 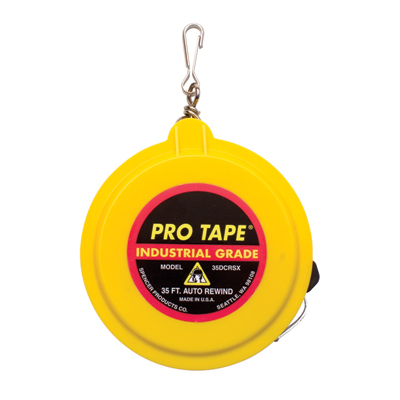 Heavy duty chrome-clad tape line with claw hook. Rugged belt clip.